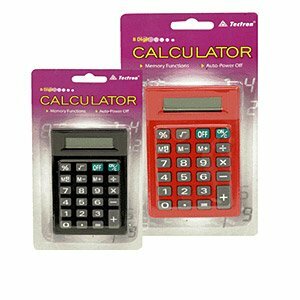 8 Digit Desktop Calculator With Memory And Auto-Power Off Function. Black And Red Color Assorted Per Case. In Blister Card Packing.